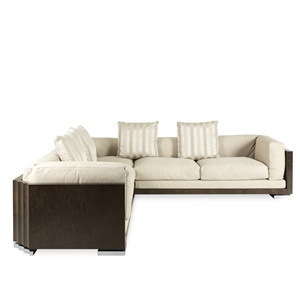 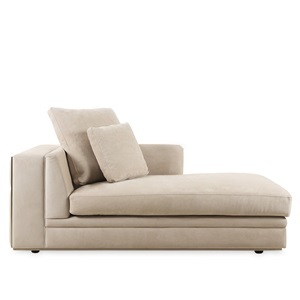 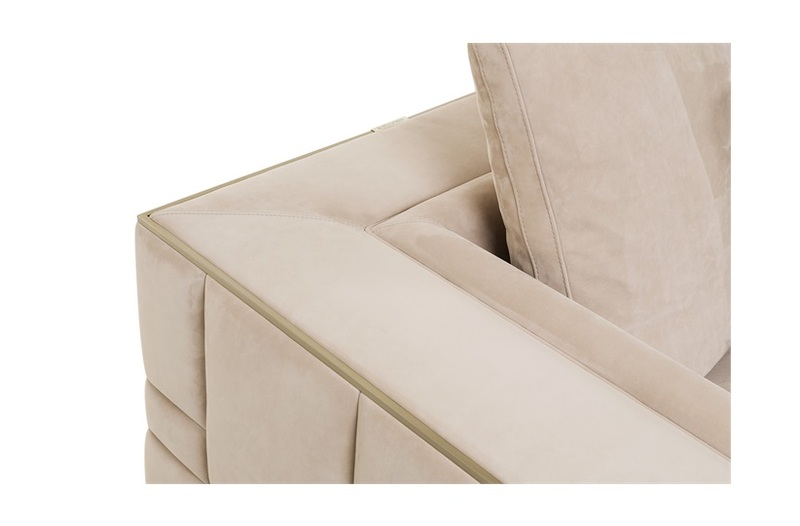 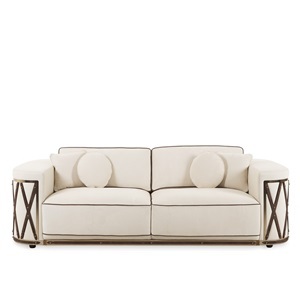 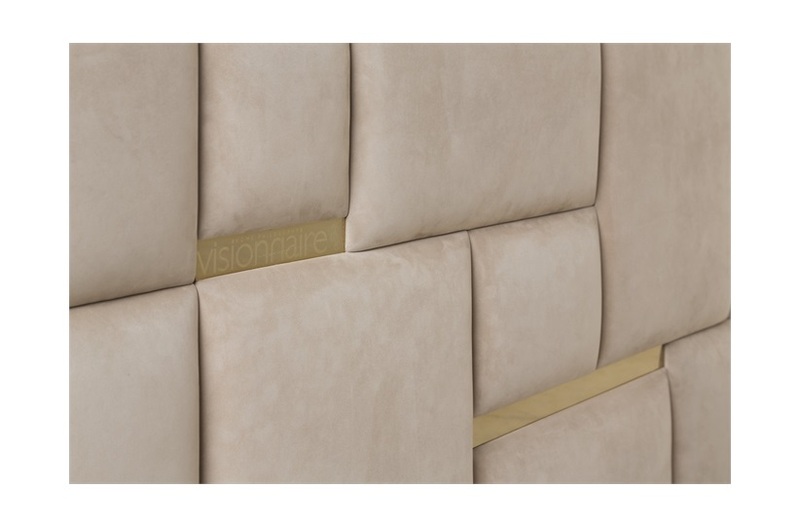 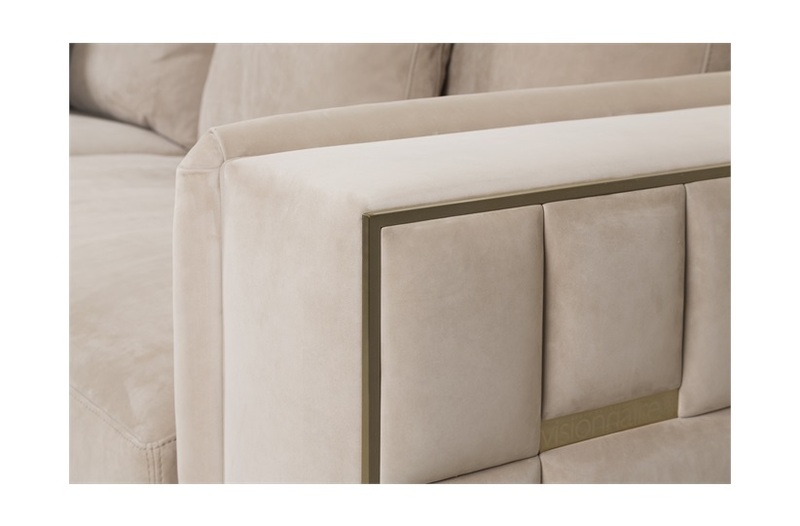 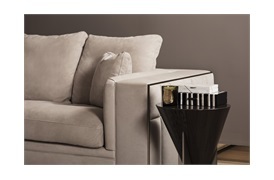 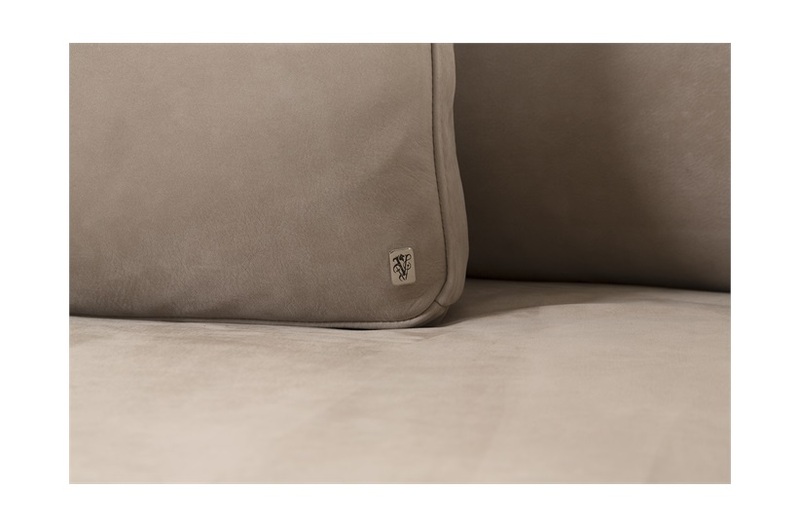 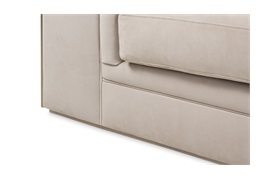 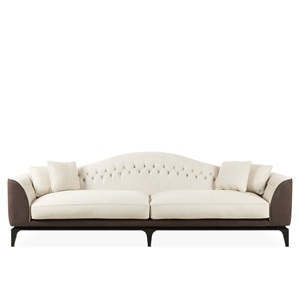 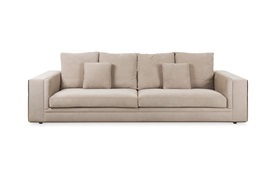 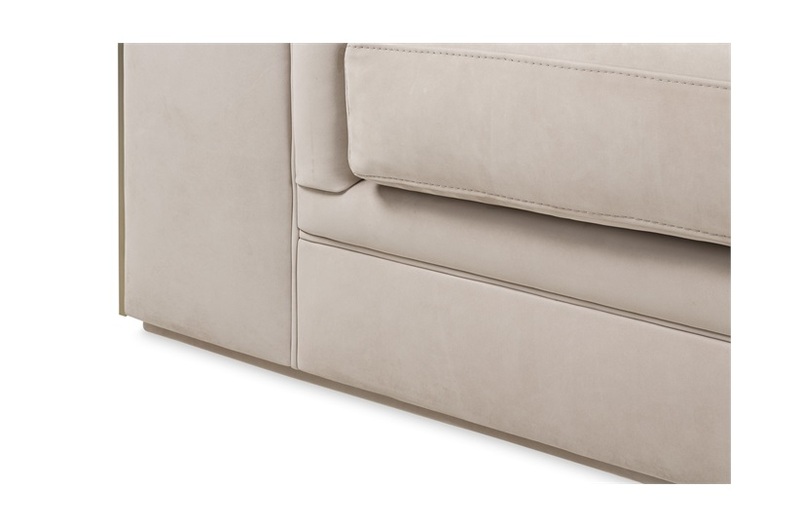 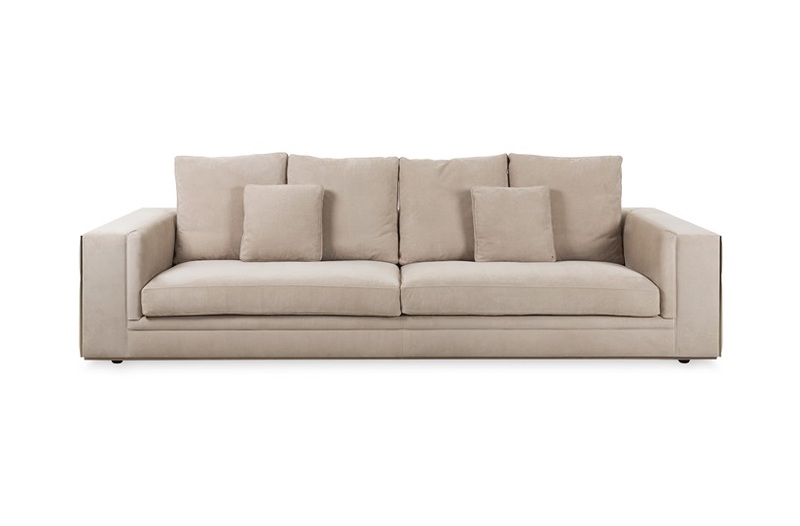 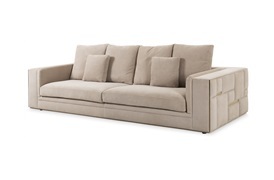 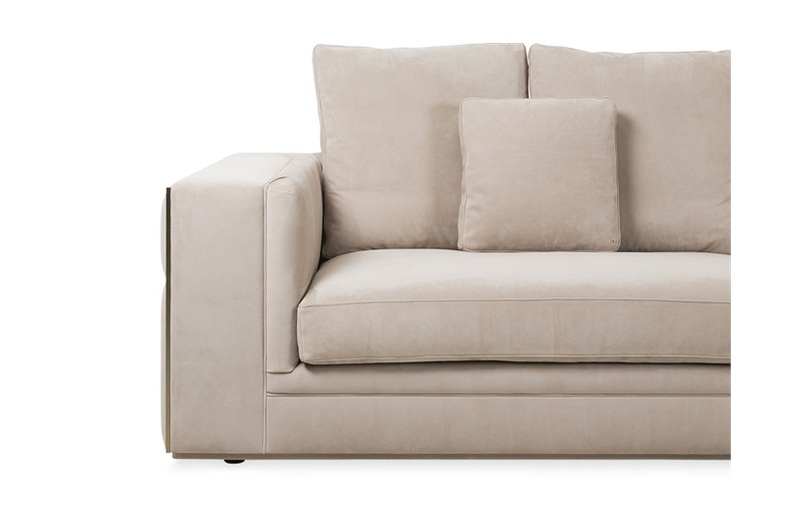 Designed for modern luxury living by Italian brand Visionnaire, this high-end nubuck leather upholstered sofa features luxurious foam and goose feather seat and back cushions to ensure ultimate comfort. 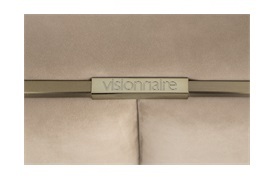 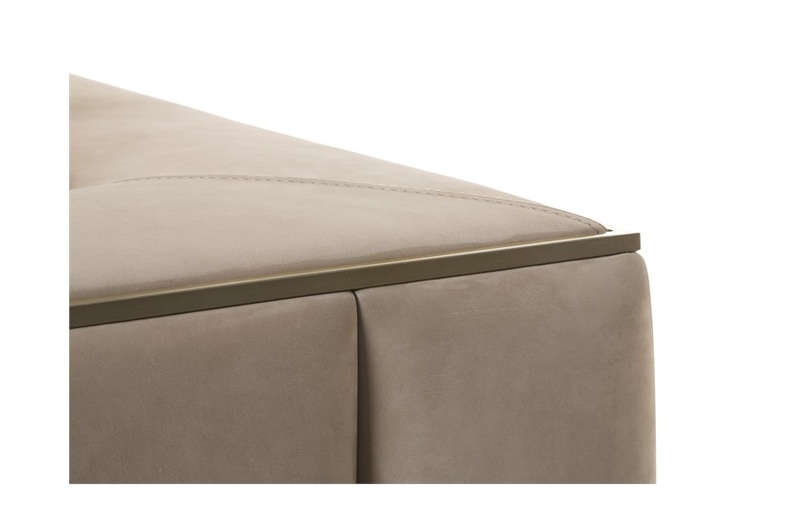 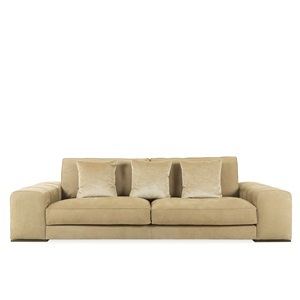 The rear and armrests feature a quilted geometrical pattern with exquisite gold-tinted satinised steel panelling. 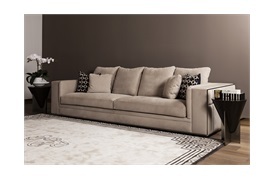 Sleek, sophisticated and with a touch of glamour, the Babylon is a worthy addition to any luxury living space.